A few months after the release of Hitman‘s final episode in 2016, publisher Square Enix unexpectedly dropped the IP, putting IO Interactive’s plans for a sequel in serious doubt. After such an impressive return to form, it seemed almost inconceivable Agent 47’s latest adventure would end so abruptly. Fortunately, Warner Bros. clearly thought the same, swooping in to save the series from potential oblivion less than a year later. Fast forward to today and the long-awaited sequel finally releases worldwide on all major platforms. Now, the first and most important thing to note is that Hitman 2 doesn’t reinvent the wheel. The few changes developer IO Interactive has made to the established formula are small; almost imperceptible. 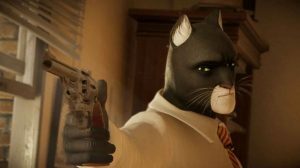 It’s no exaggeration to say the most significant was simply to abandon the episodic release schedule of its predecessor. Otherwise, Hitman 2 offers more of the same, retaining the methodical gameplay design and reactive sandbox environments of 2016’s outing. However, while a similar lack of innovation has had a profoundly detrimental effect on other notable video game series – pre-Origins Assassin’s Creed, for instance – in the case of Hitman 2, this is no bad thing. Hitman 2’s main draw, its campaign, runs the same length as the 2016 reboot. 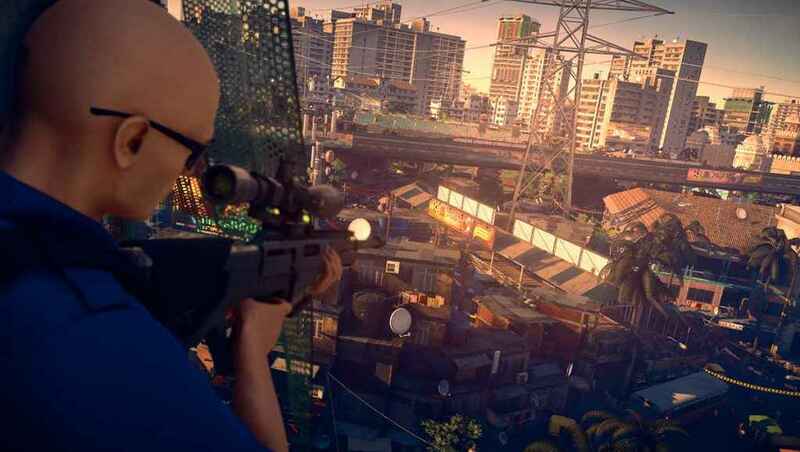 Offering a total of six distinctive sandbox environments to explore, each full to bursting with weapons, tools, disguises, and scenarios Agent 47 can use, in whatever way the player sees fit, to eliminate his latest set of targets. Having each and every episode available from the get-go this time around is a massive plus point for fans who were left frustrated by Hitman’s episodic release format – as is IO’s decision to release the Hitman Legacy Pack which features updated versions of all six episodes featured in Season 1 and is available at no extra cost to anyone who owns the 2016 original. With everything available immediately, players are unlikely to spend quite as much time dissecting each individual locale (at least initially) as they would have during Season 1 when weeks would elapse before the next slice of content was released. 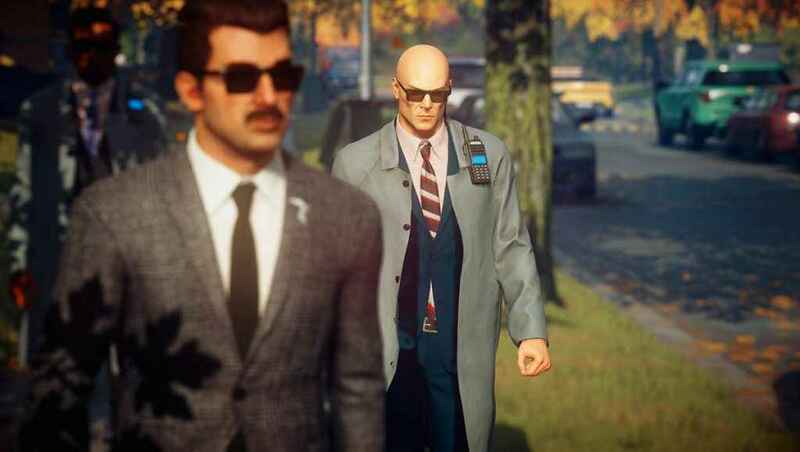 All the same, they should have no problem delaying the story to spend a bit more time exploring the previous level and other game modes, even though Hitman 2’s central narrative, which delves deeper into Agent 47’s mysterious origins, is far more interesting. I completed the introductory Hawke’s Bay mission a good three times before moving onto the game proper. Experimenting with the mechanics and environment to assassinate 47’s two unsuspecting targets in ever more creative ways. Of course, it’s easy to see why IO decided to make the fist season episodic. As with Life is Strange or any Telltale adventure you’d care to name, drip-feeding content over a period of time can generate even more excitement for the story, whilst also encouraging players to thoroughly explore the episodes currently available to them. But honestly, the switch to a more traditional launch hasn’t hindered my appreciation of Hitman 2 in the slightest. In fact, rather than feeling constrained to repeat the same mission over and over again while I awaited the next, I was able progress at my own pace. Moving onto the next mission or switching to one of the supporting game modes whenever I felt in need of a new challenge or a simple change of scenery. From a mechanical perspective, Hitman 2 is almost indistinguishable from its predecessor. 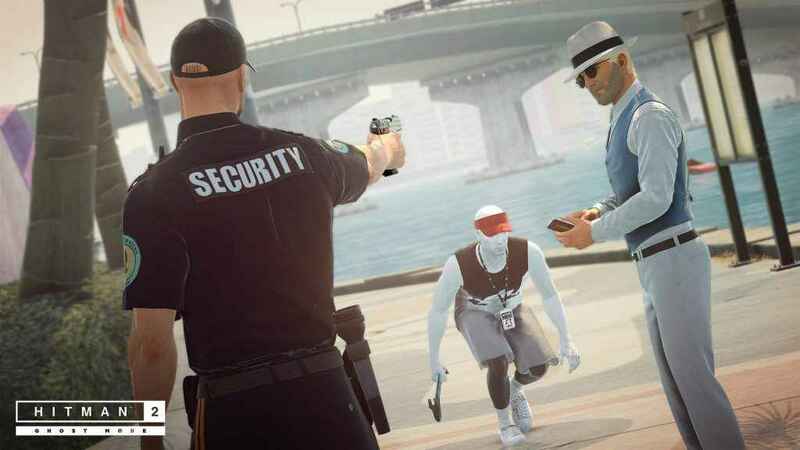 Small additions, such as having the ability to hide amongst a crowd of people, see the precise cone of vision of every security camera, and smuggle items using 47’s inconspicuous metal briefcase successfully, increases the player’s options without affecting the inherent difficulty or enjoyment. Completing certain objectives can be tough, but it never feels unfair. Likewise, enemy AI is still pretty astute, rendering it extremely difficult to strong-arm your way through a mission on all but the easiest difficulty setting. Which is as it should be. 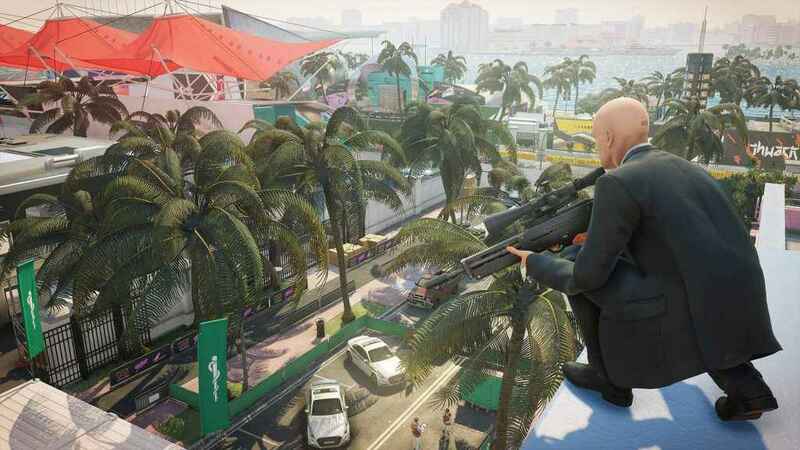 As series fans will know, Hitman 2 is all about executing a meticulously crafted plan. Eliminating targets silently without drawing attention or orchestrating, with or without the assistance of the game’s various Mission Stories, an elaborate “accident” while 47 hides in plain sight mere feet away. 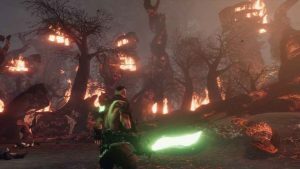 Supporting the main campaign are the usual suite of optional challenges – kill X with Y on Z mission. This extends the campaign’s play time by an order of magnitude for those looking to get the most out of each distinctive locale, as well as the same diverse trio of alternative game modes – Escalation and Community Contracts, and Elusive Targets – introduced in the 2016 reboot. On top of these old favourites are two brand-new online modes: Ghost and Sniper Assassin. Ghost Mode pits two players against each other in a straight one-on-one competition. Using various weapons, tools, and disguises hidden around the map within special loot crates, the aim is to silently dispatch a series of randomly generated targets, with a single point awarded for each successful elimination. The first player to reach a grand total of five wins. The ebb and flow of each round is much the same as the main campaign. However, the simple addition of another player ramps up the tension to almost unbearable levels, providing a genuinely thrilling experience. Still, it’s not without its bugs and, on one occasion, a new target failed to respawn halfway through the contest. This left myself and my opponent stuck and with no other option but to quit. Sniper Assassin, meanwhile, is slightly more straightforward, functioning as a kind of homicidal puzzle game. Armed with nothing more than a sniper rifle and a few rounds of specialist ammunition, the objective is to surreptitiously eliminate three notorious former thieves and their bodyguards in the midst of a lavish wedding ceremony. The catch being that the player has to time each shot in order to conceal each successive murder from the other guests. A single scenario set to the backdrop of a single map, it’s admittedly not quite as addictive as Ghost Mode. But it’s a lot of fun while it lasts, nonetheless. Occasional Ghost Mode bugs aside, Hitman 2 is another technically sound offering from IO Interactive. I also encountered little to no performance issues. Even when traversing the crowded streets of the Mumbai slums or ruining Paris fashion week for the obnoxious guests, the frame rate remained steady from start to finish. I did experience some pop-in every once in a while, usually for the briefest of moments at the start of a mission. But, for the most part, Hitman 2 is buttery smooth. Visually, Hitman 2 is even more impressive. Miami is bright and vibrant; bustling with activity, noise, and excitement. The Mumbai slums squalid and overcrowded, bordered by open sewers and yet teeming with life. Rico Delgado’s opulent Santa Fortuna mansion a gaudy monument to excess that contrasts starkly with the muted, run-down shacks of the surrounding town. This makes the process of exploring these distinctive environments feel unique. Every location, from the tutorial level in Hawke’s Bay to the Austrian manor featured in Sniper Assassin, is remarkably detailed. Packed with innocuous little touches that makes the world of Hitman feel authentic and reactive, furnishing it with a gritty realism that isn’t easy to achieve. It certainly helps that the sound design is perfectly on point too. Basic sound effects, whether that’s drowning 47’s latest target in a toilet or clubbing a distracted guard over the head with a length of lead piping, possesses an uncompromising brutality. 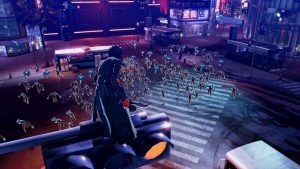 Consequently, the emotionless assassin’s actions have a real weight to them that reminds the player he isn’t a particularly nice individual, even if his mission is, in this instance, a seemingly just one. Hitman 2 was developed by IO Interactive and published by Warner Bros. – the latter of whom also provided our review code. Hitman 2 is an absolute masterpiece of emergent, sandbox game design. Retaining all the key elements of the 2016 original, developer IO Interactive has instead restricted itself to a handful of minute but important changes. Streamlining the overall experience and producing what is, hands down, one of 2018’s most entertaining and satisfying titles.